Ok. So - a fact about me: I go swimming. My local swimming pool does this free swim Friday thing and seeing how it's supposed to be the exercise that's best for you (something about it being the only sport that requires you to use every part of your body or something?) and - ok I'm just gonna say it - I'm pretty good at it too - it's like some sorta strange natural affinity (I had a grandparent who was half fish - so I think that helps): it's the only real not-being-a-lazy-slob thing that I do . 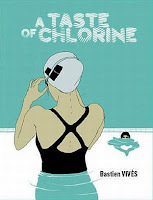 So - going from that A Taste of Chlorine (a book that's all about - well) should be the ideal book for me - right? Swimming and comics - together at last! Yay. There was this kinda strange - oh. Right that book - when I first got a copy of this in my hands. I have a bit of a habit when me and my girlfriend go and have little daytrips at musuems and exhibitions to go and have a look at whatever comics shelves they have. Like - we went to go and see that Brains exhibit (quick capsule review: meh) at the Wellcome Collection in Euston - which is where I think I first saw A Taste of Chlorine which had the effect of marking it out in my head as a classy kinda comic for people who mainly read stuff by - say - Zadie Smith : you know stuff that's a little bit literary, a little bit social realism mixed with a little bit magical realism and a little bit nice and happy and people are fundamentally alright and everything is going to work out ok - or hell - just to sum that all up in two words: "middle-class." And for me - that's not normally the type of book or comic (or film) that I like. I prefer things with a few more sharp edges and something that can get stuck in your teeth rather than some kinda of mashmellow something. But yeah - I thought I'd read it anyway and do my Islington Comic Forum duty and all that and write something up on the blog. So: well - it's a comic book about swimming (and a French comic book no less - and I don't know how you can get more classy than that) starring a gawky looking guy who - what's the best way to say this? - starts to perv on one of his fellow swimmers. Things I liked about it: the way it got the whole swimming ritual down in a way that made me nod my head: getting changed, having a shower, getting into the pool: it gets that all down just right: people of 1000 years in the future - you can read this book and know exactly what our swimming lives were like (and man - even that title: every time I read it I can just feel myself standing in a swimming pool - so that's good). Also (and I say this as someone who's now happily coupled off): that - for young single guys - it is definitely a big (should I say big? 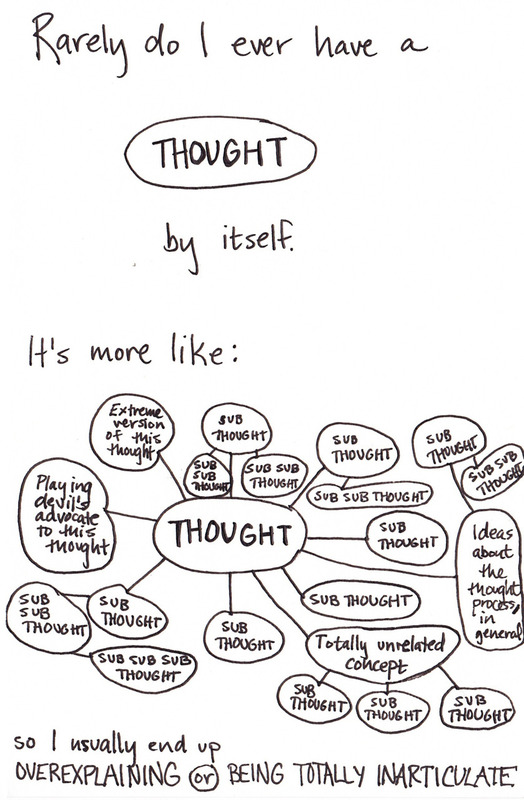 Maybe it would be better if I said small?) part of the swimming experience to find yourself looking at the girls in their swimming costumes (in fact - I'll even admit that way way way back - there was a girl who used to swim on the same day (back when I swam at Ironmorgers) as me - who wore an orange swim cap - that I never managed to build up enough nerve to speak to and - because - hey - let's face it - who wants to be chatted up in a swimming pool? It's kinda creepy). And - also also: I liked the way it got the whole slighly-sterile swimming pool atmosphere down on page (you can almost hear the words echoing off those big walls). For those of you who don't swim: maybe you can appreciate the atmosphere (oh - so that's what it's like to go swimming ) and the slow building story that is perfectly happy to take it's time and do things like showing you what the ceiling looks like when you're doing a backstroke: but this is a book that didn't have much more to give me apart from that. Because - let's face it - for those of us who were of the right impressionable age when it was on tv this is something that's always going to be at the back of our minds everytime we have a second round of pudding. Not that I have a problem with Zadie Smith. There's this article she wrote for the New York Review of Books thats all about libraries that I would recommend to everyone (go read it). That includes this nice line (which is basically the reason I like working in libraries): "the only thing left on the high street that doesn’t want either your soul or your wallet." Further reading: Blue Pills, The Rabbi's Cat, The Arrival, Lost at Sea, Couch Fiction, Mezolith.